In 2011, a new grapevine virus was discovered in vines showing symptoms that occasionally had been confused with grapevine leafroll disease. Grapevine red blotch associated virus (GRBaV) has been confirmed in both red and white varieties within California and in other states. Disease symptoms in red varieties include reddening of regions within leaf blades, along with red veins and petioles and delayed fruit maturity. Disease symptoms in white varieties include subtle-to-obvious chlorotic regions within leaf blades. The virus name applies to all varieties including whites. Currently, it is not known what factors affect symptom onset and development in diseased vines; variety, rootstock and vine age may play a role. In red varieties, the first signs of red coloration in basal leaf blades in 2013 occurred in June and July. Based on experience from past years, by the end of this season, foliar disease symptoms will occur in most or all leaves in the canopy. However, in white varieties, timing of symptom onset and severity of symptom expression has not been tracked as well. Some north coast growers have had experience with grapevine red blotch disease long before the disease was named or a virus was associated with the symptoms. Beginning in 2007, an increase in incidence of vines with red leaf symptoms was observed by grape growers in some Napa Valley vineyards. Grapevine leaf petiole and cane samples were collected from symptomatic vines by growers and UC researchers and tested by commercial laboratories and UC Davis Foundation Plant Services, respectively. Test results were most often negative for grapevine leafroll-associated viruses (GLRaVs). In fall 2011, a new circular DNA virus – later named GRBaV – was identified by virologists at UC Davis Foundation Plant Services and USDA-ARS at Davis in 3 diseased vines of Cabernet Sauvignon, Cabernet franc and Zinfandel (1). This new virus is identical to a DNA virus isolated by Cornell University virologists from a Cabernet franc vine (2). To identify the new virus, the researchers at Davis utilized next generation (“deep”) sequencing technology (3). The process sequences all the genetic material (nucleic acid) in a plant sample and sorts it into known categories so that researchers can decide if what is left over is a new, previously unreported virus. Virologists at Cornell University are tasked with determining if GRBaV causes grapevine red blotch disease. It is one objective of a grant given to Cornell and USDA-ARS scientists this year by the American Vineyard Foundation. Cornell researchers also identified the virus as a very unique member of the Geminiviridae family (2). Some geminiviruses are spread by leafhoppers and whiteflies. At this time, it is not known if leafhoppers or other insects can vector GRBaV in the field. A research group in Washington State University has determined the virus can be moved by insects to potted vines (4). Over the last 3 years, an increasing number of symptomatic vines have been mapped in specific blocks at the UC Oakville Experimental Vineyard (Oakville Station); whereas in other blocks at that location, directional spread is not evident (J. Wolpert, Retired - CE Viticulture Specialist and M. Anderson, UCD Staff Research Associate; pers. comm.). Epidemiological studies to determine the complex relationships between the grapevine, an insect and the virus are assigned to USDA-ARS researchers. The virus is known to be spread by propagation. Foundation Plant Services virologists successfully graft inoculated healthy potted vines with the virus by using chip buds taken from vines known to be infected with GRBaV (1). What is not known is the pattern of distribution of the virus inside the plant after it is grafted and how long it takes symptoms to develop following inoculation. The diagnostic test (a PCR assay) to detect GRBaV developed by the USDA-ARS group at Davis became available in October 2012, and since that time commercial laboratories have processed thousands of samples submitted by growers. The virus has been confirmed in several varieties in California and in several California counties and other states. At this time, all scion varieties and rootstock plants regardless of parentage are thought to be susceptible. In 2011 and 2012, samples were collected from individual symptomatic vines of red varieties in Napa, Sonoma and San Luis Obispo counties. GRBaV was detected in ~95% of symptomatic grapevines and in ~2.7% of asymptomatic grapevines (5). This is a very high correlation between disease symptoms and the virus – higher than the correlation between grapevine leafroll disease symptoms and leafroll associated viruses. Although symptoms are highly correlated with GRBaV, it does not mean the virus causes the symptoms. However, it does mean that symptomatic vines are likely to be infected with GRBaV. To verify the presence of the virus, samples must be collected and submitted to a commercial diagnostic lab for testing by PCR assay. Fall and winter are ideal for detecting many grapevine viruses and the basal portion of current year canes are submitted for testing. If you plan to submit samples from vines to confirm the presence or absence of GRBaV, contact the lab of your choice or visit their website for sample collection protocol. 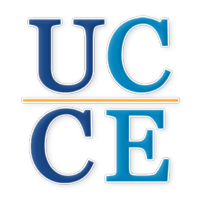 List of Commercial Labs in North and Central California. In 2013, UC Cooperative Extension, with grant funding from the American Vineyard Foundation, has documented symptom development in vines confirmed to be infected with GRBaV by PCR assay and NOT infected with leafroll viruses. Three sites – two in Napa County and one in Sonoma – are monitored regularly. At this time of year, the foliar symptoms of grapevine red blotch disease in red varieties are more easily distinguished from symptoms caused by grapevine leafroll disease. Red blotch symptoms in white varieties are also present; they may be confused with potassium and perhaps other nutritional deficiencies. (1) Al Rwahnih, M., Dave, A., Anderson, M., Rowhani, A., Uyemoto, J. K., and Sudarshana, M. R. 2013. Association of a circular DNA virus in grapevines affected by red blotch disease in California. Phytopathology: (In Press). (2) Krenz, B., Thompson, J., Fuchs, M. and Perry, P. 2012. Complete genome sequence of a new circular DNA virus from grapevine. Journal of Virology 86:7715. (3) Al Rwahnih, M., S. Daubert, D. Golino and A. Rowhani. 2009. Deep sequencing analysis of RNAs from a grapevine showing Syrah decline symptoms reveals a multiple virus infection that includes a novel virus. Virology 387:395-401. (4) Poojari S, Alabi OJ, Fofanov VY, Naidu RA (2013) A Leafhopper-Transmissible DNA Virus with Novel Evolutionary Lineage in the Family Geminiviridae Implicated in Grapevine Redleaf Disease by Next-Generation Sequencing. PLoS ONE 8(6): e64194. doi:10.1371/journal.pone.0064194. (5) M. R. Sudarshana, A. Gonzalez, A. Dave, A. Wei, R. Smith, M. M. Anderson, A. M. Walker. 2013. 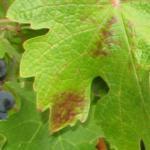 Grapevine red blotch-associated virus is widespread in California and U.S. vineyards. Phytopathology 103(Suppl. 2):S2.140.